Mama Love: $3 off The First Years New Spill-Proof Sippy Cups!!! 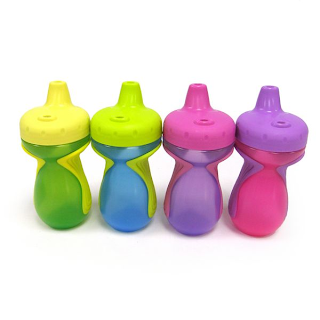 $3 off The First Years New Spill-Proof Sippy Cups!!! 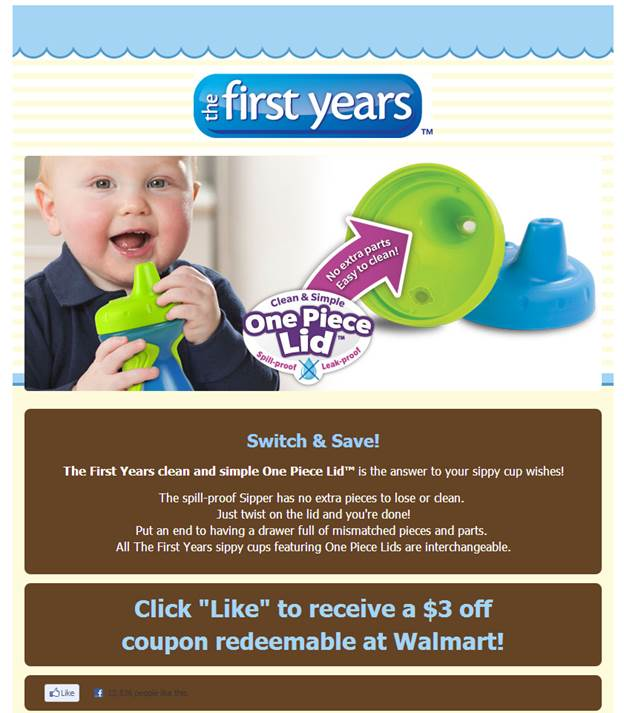 I Just found out about an AWESOME Deal going on at The First Years Facebook Page, right now if you like their Facebook page you will receive a $3 off coupon good towards The First Years New Spill-Proof Sippy Cups.all it takes is a simple “Like” on Facebook to receive a printable $3 off Walmart in-store coupon! 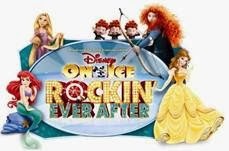 The 2-pack is regularly $6.96 at Walmart so This coupon (which expires April 6) offers a savings of more than 40%!! You'll get TWO cups for less than $4!! !